We are an ARI Vendor! Now Offering HyRail Inspections, DOT Inspections, and Annual Hydraulic Circuit Flow Testing! From inspection through repair, we, at Crane Repair Service, know mobile cranes. We work on all brands of mobile cranes. 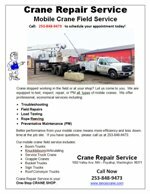 In addition, we are an authorized service and repair Center for Cleasby, Elliot, Fassi, Manitex, and Palfinger Cranes. We are an Authorized Service Center for: Cleasby, Elliot, Fassi, IMT, Manitex, Palfinger, and now Stellar! We are trained and prepared to work on many additional crane OEM's. We perform warranty work as approved by the manufacturers. 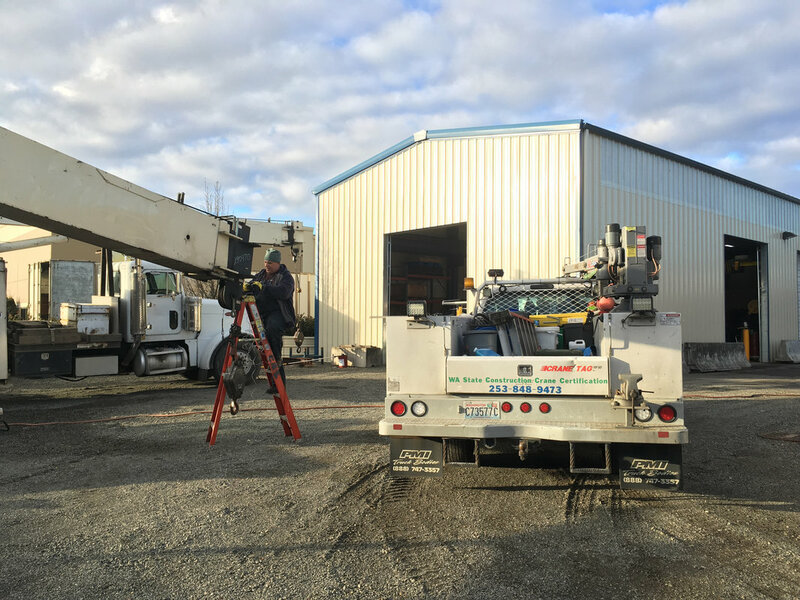 With over 20 years of experience our accredited technicians help you keep your crane equipment safe and in-service to keep your business booming. We perform load tests at your yard or job site and at our shop. We can bring our test weights or use heavily sufficient items you already have “at the ready” next to your crane, such as ecology blocks, by verifying their actual weight with our certified dynamometers. We can also bring our load testing apparatus to your site. For mobile and overhead cranes, load testing is not standard, but can be included upon request.